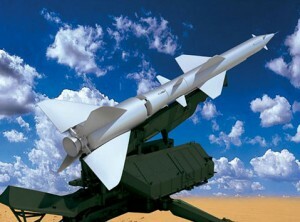 Surface-to-Air Missile (SAM) System S-125-ML (Pechora-ML) is intended for fighting modern and future means of air attack in conditions of heavy jamming and interference. Modernized SAM System S-125-ML efficiently destroys low-flying and low-sized targets in conditions of heavy radio interference. Modernized SAM System S-125-ML has service life of 15 years, increased target engagement envelope, increased efficiency and mobility, improved operation in conditions of heavy jamming. S-125-ML also features automatic distribution of air situation and combat monitoring data to higher level Command Post. S-125-ML has increased reliability (achieved largely by replacement of 90% of original elements) and MTBF of 1500 hours. Standard modular configuration, good reparability. The potential (detection range) of Missile Guidance Radar is increased by 1.49 times due to improved sensitivity of Receivers. Automatic receiving, processing and displaying of air situation distributed by radar sensors supporting SAM system S-125-ML and higher level Command Post (up to 150 aircraft targets). Rejection of jamming and pulse interference by using optic channels, two working frequencies of radar channel, wide dynamic range of Receiver, efficient algorithms of interference protection. Rejection of nonsynchronous interference through special signal filtration. Tracking and position finding of selected target in following modes: automatic, manual and hybrid tracking via radar and optic channels. Automatic computation and displaying of missile engagement envelope, determination and updating of hit-point for current firing conditions. Automatic computation of missile launching moment. Launching and automatic guidance of two 5V27D missiles. Either missile can be guided by three point or half lead method. Measuring missile guidance errors, displaying guidance errors at moment of hit. Generation and distribution of air situation and combat monitoring data to higher level Command Post. Pre-combat and online monitoring of SAM equipment, displaying status of communication lines, radar sensors, SAM guidance radar and missile launchers. Recording of air situation, status and availability of missiles, results of combat activity, actions of the operators, voice communications, data transmission quality. Automated GPS-based position determination of Antenna Post (UNV -2L) and Missile Launcher (5P73-2L). Synchronization of SAM operation through GPS-based local master clock system. Computer-aided preparation of reporting documents. Communications between officers of UNK-2L. * – Units are modernized. Control cabin (UNK-2L) is based on wheeled chassis with shelter accommodating four workstations of operators, data processing and recording equipment, communications equipment and power generators. New control cabin performs target assignment and distributes targets to guidance operator. Antenna post (UNV-2L) features new servo drives for antenna positioning, new modulator of magnetron transmitter, new system to generate and send guidance commands to guided missiles, improved TV optic channel, new infrared channel (option). Modernized Launcher (5P73-2L) features new integrated servo drives, new system for missile preparation and launching, integration of GPS and digital magnetic compass. Storage temperature: from – 60°C to + 65°C. Growth of operational reliability of modernized equipment, increase of mean-time-to-failure up to 1500 hours thanks to the replacement of 90% of the analogue equipment with the digital one, produced on the element base. 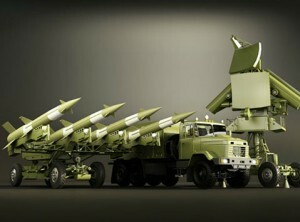 Modernized medium-range surface to air missile system (SAM) S-75M3ML is designed for low, medium and high coverage of administrative, industrial and military objects against the strikes of all aerial attack means. SAM S-75M3ML provides the destruction of strategic, tactical and army aircrafts, high-speed reconnaissance aircrafts, drifting balloons, helicopters and cruise missiles with the effective radar cross section of 0,1 m and more. 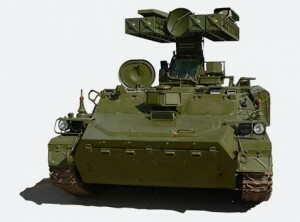 SAM S-75M3ML “Volga-ML” can operate both in autonomous mode and in centralized control mode as a part of the anti-aircraft missile system. In this case target designation for SAM S-75M3ML is carried out from the automated mobile command post. Circular scanning radars can come with the SAM S-75M3ML for providing autonomous operation of the system. Radar data can be received both from analogue radars P-15, P-19, P-18 or similar radars (equipped with extraction units A1000-M) and from digital radars of P-18MB (P-180, P-150, P 190) type. Upgraded 2K12-ML Surface-To-Air (SAM) System (Kvadrat-ML) features improved performance and extended functional capabilities due to new algorithms of data processing and displaying, digital signal processing with software based MTI and automatic data readout and processing. 2K12-ML is offered as the upgraded follow-on to 2K12M1. Capability to detect and destroy low-flying targets including VLO (“stealth”). Improved operation in jamming conditions, in presence of reflections from underlying surface. Automation of control from Command Post, automation of detection and tracking, prelaunch preparation and launch of missiles, crew training. Increase of kill area and kill probability due to optimization of signal processing, increased detection and tracking range of low-flying targets. Reduced response time and firing cycle. Extended service life – up to 15 years. Improved survivability due to introduction of a remote command and control post (RCCP) capable of controlling SAM System from up to 500m (option). All components, panels, units and modules are designed as replaceable units and can be easily replaced with spare ones. System provides automatic operational monitoring and functional check. Checks are performed each time Engagement Radar Vehicle starts or at any time as requested by operator. System is equipped with the simulator enabling training of combat crews in realistic conditions including simulation of ECM applied by the enemy. wind speed: up to 25 m/s. System is equipped with GPS. Upgraded system can be operated and maintained by crew who previously maintained SAM 2K12M1(2,3) “Kvadrat-M1(2,3)” with additional training. All major units and systems can easily be accessed for maintenance and repair. programmable components of latest generation (FPGA, CPLD, FPAA). Software consists of application part and testing software. All software is stored in memory modules. 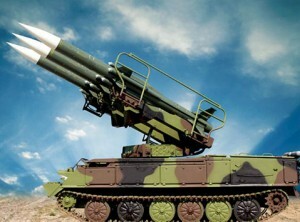 The 9K33-1T OSA-1T self-contained mobile air defence missile system is designed to defend Army units, industrial and military objectives from the strikes of all types of modern and advanced aerial attack assets with the RCS of 0.02 m² and above flying nap-of-the-earth, at low and medium altitudes. If the T382 SAMs are included in the composition of the 9K33-1T OSA-1T ADMS, it is designated as the T38 STILET ADMS. The OSA-1T SAM system comprises combat assets and technical support means. 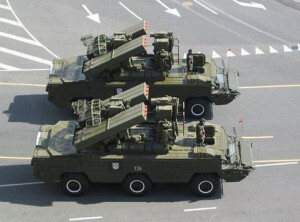 the 9M33M2(3) Surface-to-Air Missiles (SAM). The STRELA-10T ADMS has been developed on the basis of the Strela-10M2 ADMS. Unlike the base-line version the upgraded combat vehicle of the newly developed system is able to carry out round-the-clock combat operations. The availability of data transmission equipment enables data exchange between combat vehicles (“leader-second” mode) as well as remote control of the combat operation process in the course of repelling aerial enemy strikes.